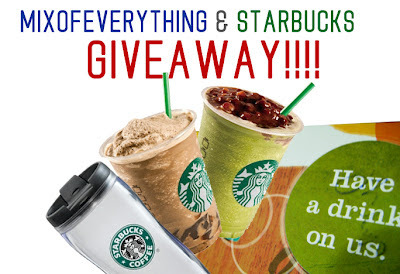 (Updated) Winners of the MIXofEverything & Starbucks Giveaway! - 1st Batch & 2nd Batch - Hello! Welcome to my blog! 1st batch of winners for the Mixofeverything & Starbucks giveaway! The first batch of votes tallied a total of 60 votes. 37 voted for Hojicha Jelly and 23 for the Red Bean Green Tea. For the 2nd batch of winners! Thanks to RANDOM.ORG for drawing the winners!